Miami Dolphins QB Ryan Tannehill is going to be placed on the injured reserve and miss the entire 2017 season due a reconstructive knee surgery. The Miami Dolphins were expected to make some noise in the AFC and make a run in the playoffs behind QB Ryan Tannehill and HC Adam Gase. But it all changed really quickly last week, when Tannehill went down untouched during practice. Immediately, the Dolphins knew something was wrong as they were looking at different options at quarterback for the season. They followed suit and signed QB Jay Cutler to a one-year deal, and especially with his connection to Gase, it made sense. 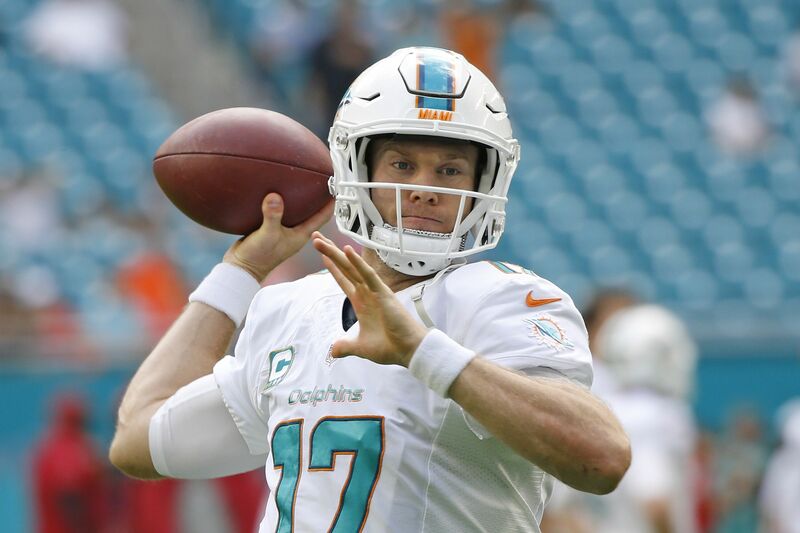 Now, its being reported by Armando Salguero that Tannehill will miss the entire 2017 season due to a reconstructive knee surgery that will take place soon. The Miami Dolphins will be placing QB Ryan Tannehill on IR and he will have reconstructive surgery. Next stop 2018. He’ll be placed on the injured reserve and won’t return at all this season. The Dolphins will turn the page and move forward with Cutler this season. Miami still will have a lot of expectations this season, given the offensive playmakers they have on the field. They have a very competent offensive coaching staff, led by Gase. Cutler and Gase had a good rapport in Chicago, when Cutler arguably had his best season as a quarterback. The Dolphins have a tough schedule and play in one of the toughest divisions in football — just because the QB Tom Brady and the New England Patriots are in the same division. The real question is what the Dolphins will decide to do long-term at the quarterback position. Tannehill signed a massive deal, but with an injury to end the season last year and missing all of 2017, will he be back in the future? Gase and Tannehill seemed to develop a connection in 2016, but injuries are back-breaking in the NFL and this could be a game-changer for the Dolphins.